Child advocates are calling on state legislators to set up a special panel to investigate the treatment of children who are committed to the care of the Department of Children and Families for breaking the law. 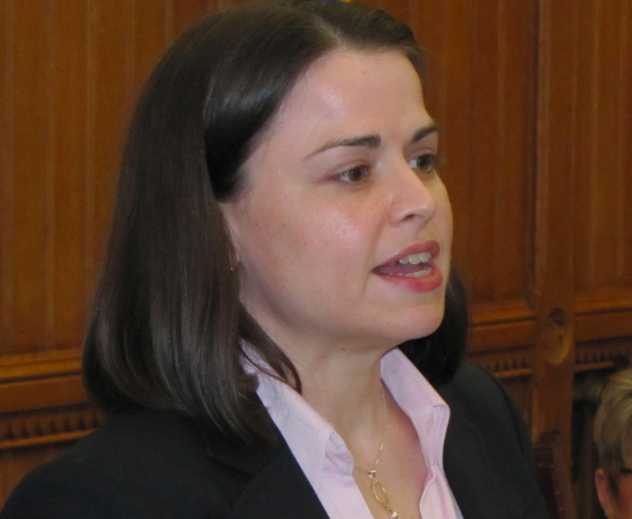 “The whole system needs to be examined,” said Abby Anderson, executive director of the CT Juvenile Justice Alliance, a statewide coalition of advocates and lawyers that represents children in the state’s juvenile justice system. The call for a review of the state’s juvenile justice system comes on the heels of the state’s child welfare agency’s sending a transgender, self-identifying, 16-year-old girl to an adult prison for women, and a 10-year high in the number of juvenile boys housed in prison. It also follows the agency’s opening a new locked facility for troubled girls earlier this month. “A pattern has emerged of DCF locking up a higher percentage of children committed as delinquents because it lacks a robust system of less restrictive options, which are widely acknowledged as better for kids and more likely to promote rehabilitation. This case [of a transgendered youth being sent to an adult prison] is particularly startling but sadly in line with what is happening in Connecticut with increasing frequency,” reads the juvenile justice alliance’s call for more oversight of the agency. But a spokesman for DCF said the agency’s juvenile justice system is working, and adult prison is the appropriate place for the transgendered girl, who was committed by the courts to DCF for breaking the law. The National Juvenile Justice Network reports that Connecticut reduced the number of youth in confinement more than almost every other state between 2001- 2010. But a more recent assessment by researchers at Georgetown University’s Center of Juvenile Justice Reform concluded last spring that DCF has no method to properly assess the risk of children who break the law and where they should be placed, the effectiveness of the state’s locked facilities or the quality of the community supervision it oversees. James Connolly, the public defender for the transgendered youth now living at York, said the problem is not that his client is so dangerous that she needs to be living in an adult prison, but that DCF has failed his client over and over again. His client first entered DCF as a foster child after her father went to jail, her mom became addicted to drugs and being sexually abused by her cousin. After multiple group home placements failed her, her behavior escalated, and she eventually got into trouble for breaking the law. He said abused foster children entering the criminal justice system is all too common. “This case highlights the real problem,” he said in an interview. Kleeblatt of DCF said this youth “has an extensive history of violence” including stabbing a female peer with a fork, four assaults or threats of assault while in a pre-trial detention facility in Bridgeport, and 10 assaults on staff while at the state’s psychiatric center for children. “The youth in uniquely dangerous,” he said. But Anderson, with the juvenile justice alliance, said DCF has too much autonomy. When the courts commit a minor to DCF, where that child is placed for the next 18 months is left to the department to decide. “There isn’t enough oversight right now,” she said. “DCF needs to be transparent on what they are doing… Why are so many of our girls dually committed” — for being abused and for breaking the law? Advocates say more information at the system level needs to publicly available so watchdogs can determine if the department is heading in the right direction in how it treats juvenile delinquents and more input from experts is required when DCF makes decisions like opening a new locked facility. Sen. Eric Coleman, chairman of the legislature’s Judiciary Committee, said in an interview he needs to hear more about how DCF treats court-referred children before determining if the legislature needs to convene a special panel. “It may be extremely well merited — I just don’t know,” he said.